Commercial airline crashes always generate big headlines and major coverage in the news media — and rightfully so. But the vast majority of air travel in the United States involves general aviation and small aircraft. General aviation, a term used to describe all flights other than those conducted by the airlines or military, accounts for 77 percent of flights in the U.S.
General aviation includes everything from pilot training to package delivery to emergency medical flights, and aircraft ranging from home-built airplanes to giant cargo jets. And each year, general aviation accounts for approximately 1,600 accidents, hundreds of them resulting in serious injury or death. The Law Offices of Frank L. Branson has the experience and expertise to handle even the most complicated cases arising from general aviation accidents and small aircraft crashes. Whether the cause is pilot error, mechanical failure or improper maintenance, the plane crash attorneys at the Branson firm will find out who is responsible and present the evidence in an understandable and persuasive way. 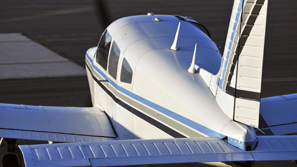 To learn more about our experience in general aviation and small aircraft accident matters, we invite you to contact the firm here.